Thanks to assorted SPOGGers who sent this along, we now know that Rachael Ray is a cannibal. 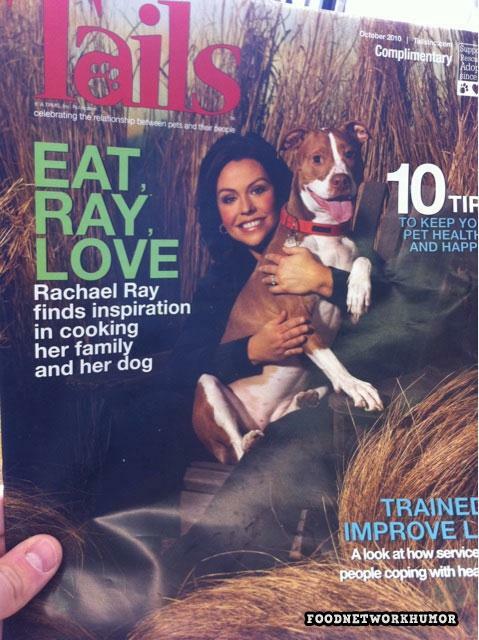 A cannibal who not only gets nutrition from cooking her family and her dog, but also inspiration. We think we're going to barf right about ... now. Update: Tails magazine says the cover was Photoshopped. It's still funny, though. That reminds me of my favorite grammar book: "Eats, Shoots & Leaves" by Lynne Truss. Ah, the importance of commas! The difference between "Let's eat, Grandpa!" and "Let's eat Grandpa!" That is really funny, but much less so if it's Photoshopped.